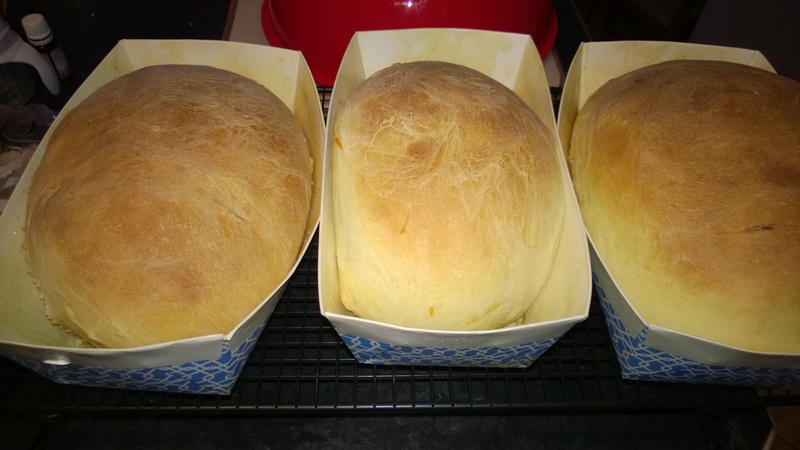 I made some paska bread this week as it’s Easter Weekend. As per usual it was delicious. Growing up we ate Paska for the week before and after Easter every year. We’d slather it with paska spread and it was like eating dessert for breakfast. It’s a delicious filling Ukranian bread which here in BC is mostly eaten by Mennonites. In the interest of getting more people onto the paska bandwagon here’s my mom’s recipe. Traditionally this Russian Easter Bread was baked in round cans, and thus when the bread rose above the top, it formed a round dome reminding one of the domed Orthodox churches. Soften yeast in ½ cup warm water, set aside. Add butter to hot milk and mix to melt. Whisk eggs, mix in sugar and beat till creamy in very large bowl. Add hot milk mix to egg mix along with salt, orange rind and vanilla. Stir in flour a cup at a time, until you have a soft dough. Knead a few minutes, adding flour as needed. Add just enough so dough is no longer sticky. 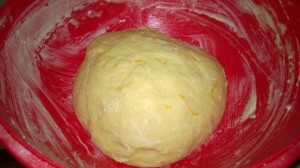 Place dough in a buttered bowl, flip over several times to butter dough. 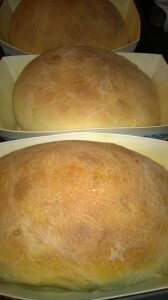 Let rise until double in bulk (this bread is a slow riser, allow at least 3 hours). Punch down, form into 4-6 loaves (depending on pan size) and place in greased pans. Let rise until double in pans (again, allow several hours). remove from pans, cool completely. If desired, may be frosted right before serving with plain powdered sugar/milk frosting and decorated with sprinkles. Serve with paska spread at Easter time. Set out for individuals to spread on their slice of Paska bread as an Easter treat.